Storms that produce large hailstones (greater than 2cm in diameter) occur often in Australia, most commonly in New South Wales and the Australian Capital Territory. Losses from severe convective storms (tornadoes, hail, straight-line winds, and lightning) make up about 50% of all loss ­producing natural hazard events that occur in Australia. Hence, severe convective storm is the number one peril in national catastrophe (natcat) business in Australia. In 1999, Australia experienced one of the worst hailstorms in the world. The storm single-handedly damaged 24,000 homes and 70,000 automobiles, creating an insured loss of $1.04 billion (U.S. dollars). The hailstones in the April 4, 1999 hailstorm were one of the largest ever recorded measuring 3.5 inches in diameter. In 2011, another catastrophic hailstorm hit Melbourne resulting in extensive property damage. Within a year of the 2011 storm, Australia endured subsequent natural disasters, and the damage wrought by this series of events spurred double-digit premium rises by some of the largest Australian insurers. In 2014, a super cell storm of fierce winds and hail caused over $1.1 billion in damage to cars and homes alone. One year later, the Insurance Council of Australia reported that insurance losses from claims following 2015 spring hailstorms totaled about $1.208 billion with almost 120,000 insurance claims. Similarly, a series of severe hailstorms devastated Australian farms in November 2016, resulting in the filing of over 28,000 insurance claims, totaling $193 million. Most Australian insurers provide coverage for weather-related damage if it falls into one of two categories—thunderstorms (hail, flash flooding, wind, lightning) or land gales (gale-force winds that occur over land). 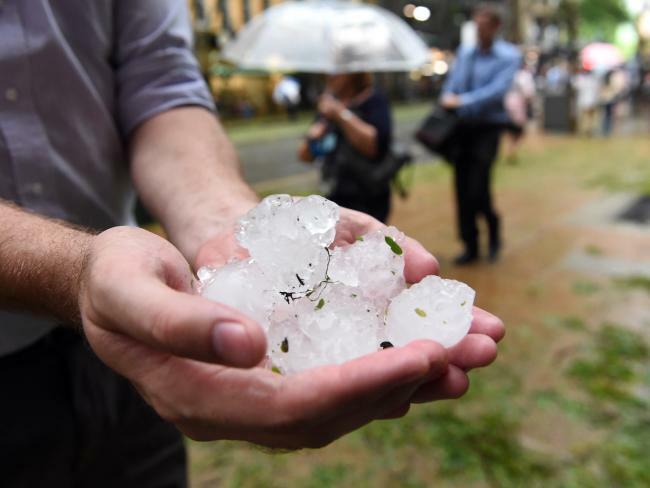 Despite the fact that coverage is generally afforded for hail-caused damage, Australia has experienced an unprecedented rise in fraudulent insurance claims. To address these issues, the Insurance Council of Australia created The Insurance Fraud Bureau of Australia to drive down the impact of insurance fraud. Moreover, the Insurance Council of Australia encourages policyholders to design and construct buildings to be resilient to the hazards present in the environment as minimum building standards in Australia are generally insufficient to protect against severe convective storms.